November beckons. A new month and hopefully we are back on track after the 30-day Royal Selangor Pewter Get Your Jelly On! challenge. Thanks to all who supported throughout the way. Back to clearing up the massive backlog (she looks at horror at all those unprocessed pictures!). When Chiaroscuro closed its doors, many were devastated since it meant they lost the chance to dine on Chef Andrea Zanella's Italian fare. Luckily for his diehard fans, he is now part of Il Lido Kuala Lumpur and continues to weave his magic. Since he had taken over Il Lido KL, I managed to sample his food, first in a tasting and subsequently for a weekend dinner. 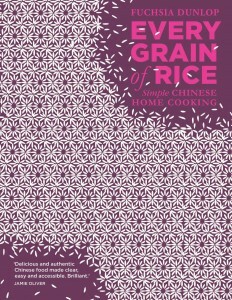 The menu has now been changed to a pork-free one to cater to corporate clients. Some patrons (as we overheard one night) were visibly upset but honestly, if you managed to get your hands on Chef Andrea's wonderful handmade pasta, it is worth abstaining from pork to taste how he makes flour and water work so well together. I'm easily pleased and rather content with the appetizers I have sampled so far. 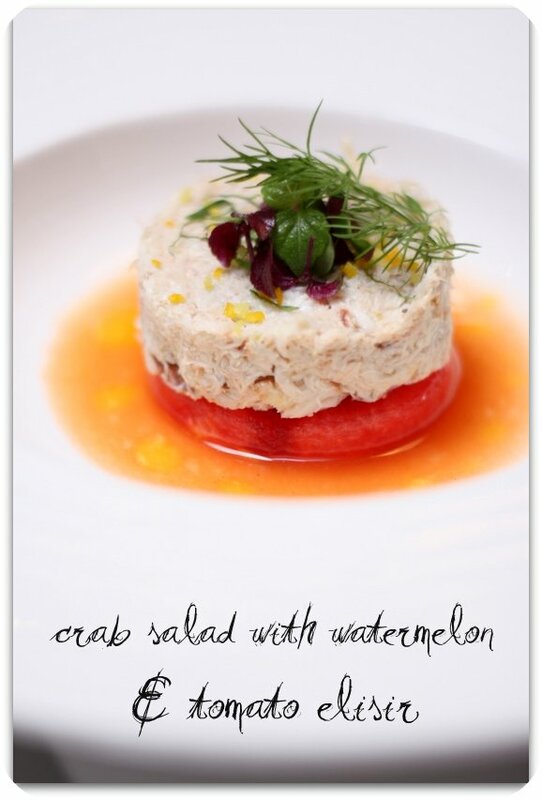 One of my favourites is the crab salad with watermelon and tomato elisir (granseola con anguria elisir di pomodoro alle erbe for RM48) - fresh crabmeat in a timbale form that tops refreshing watermelon. A tomato elisir (as it is called here for extracted tomato water) round up the lovely light dish that is topped with slightly peppery shiso cress and dill. 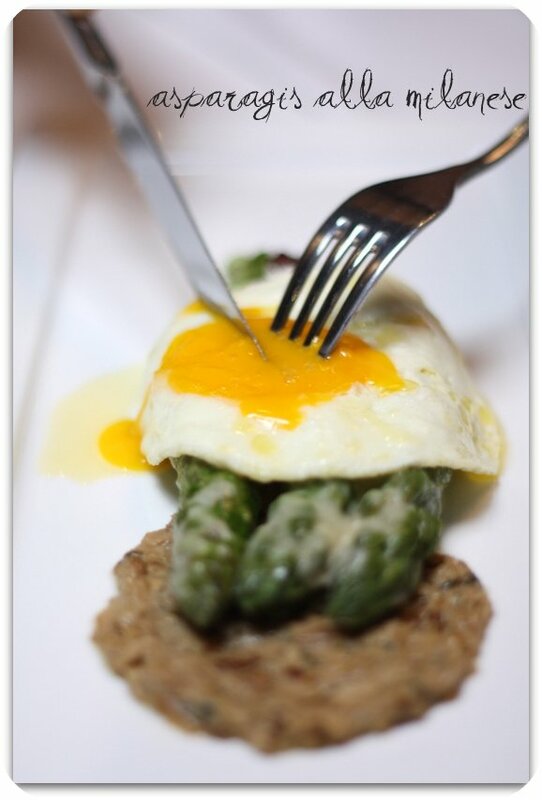 The green asparagus with organic egg and porcini pesto (asparagis alla milanese, RM39) has a comforting vibe with its woody porcini flavours and the soft egg yolk, which begs you to mix everything together to enjoy it. 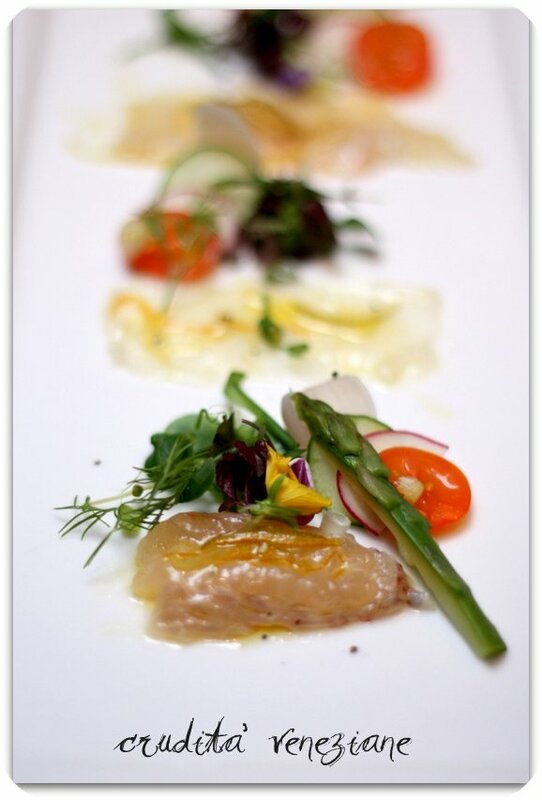 On another night, I enjoyed the fresh citrus tinged seafood carpaccio with citrus dressing (crudita d'venezia, RM48). 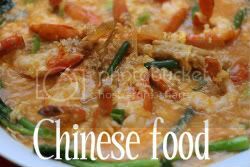 Let me remember what I ate, I think it was a yabby, anchovies, king fish and scallops that I relished on. Even the rucola salad with pecorino cheese, walnuts and pear (RM32) was great refreshing way to eat the peppery greens with the diced pear and cheese shavings. I've always loved the primi (first) course, where you indulge in pastas and Chef Andrea's versions are so dreamy. 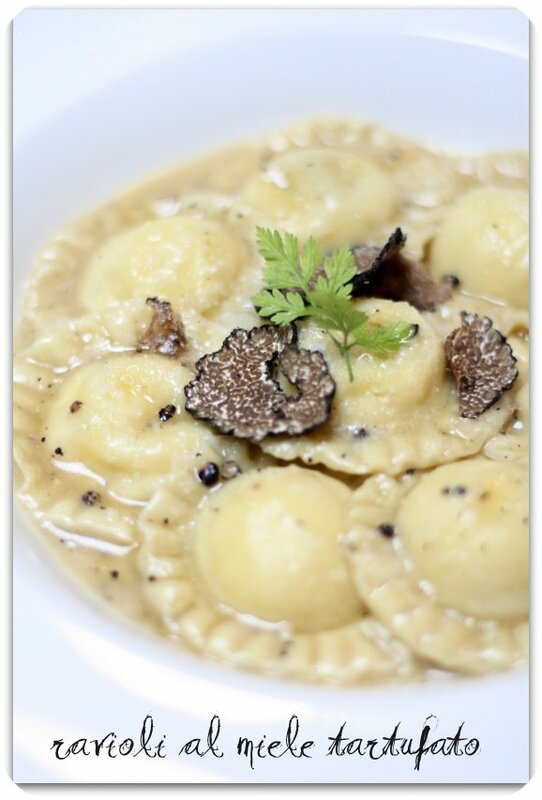 I love the light sweet taste of the ewe milk ravioli with milk and honey (ravioli al miele tartufato, RM48) from the use of the honey balanced with the earthy taste of the truffles. The raviolis were also pillow soft. On another night, when we were told the house special i.e. beef ravioli with mushrooms, we knew we had to order it. Wise decision as it was heavenly. On the heavier and robust side is the linguine with olive pesto and bottarga (linguine con pesto di olive nere e bottarga, RM54.) 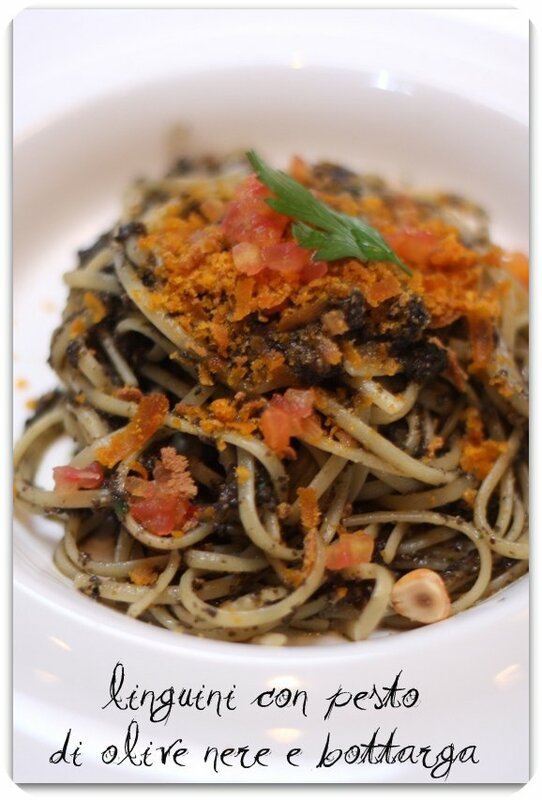 It is a very much acquired taste since the black olive pesto can be strong tasting with the fish roe but I love the whole combination since it packs a wallop of salty flavours from the bottarga mingling with the earthy black olives. 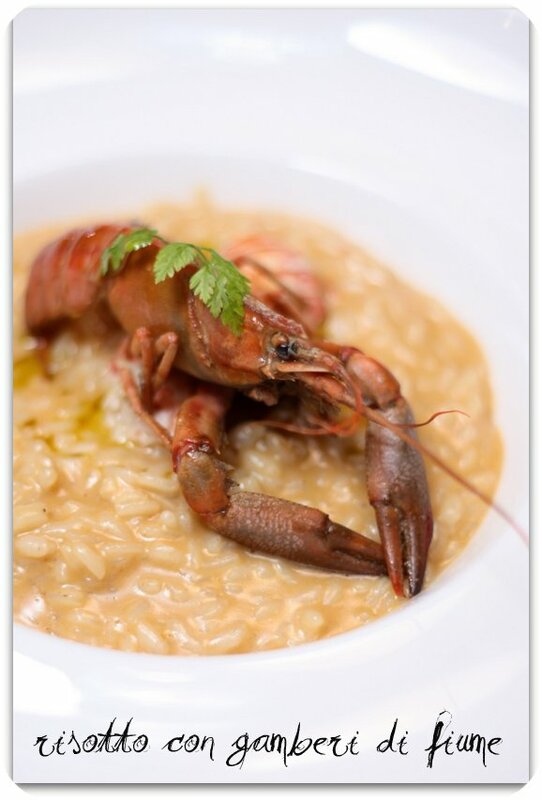 Before I move on to the secondi (the main and second course), there's also their sublime "carnaroli" risotto with crayfish (risotto con gamberi di fiume, RM59). The seafood perfumed risotto has a beautiful light yet creamy texture attributed by the use of carnaroli rice instead of the usual arborio. Lovely! Next comes the secondi course. 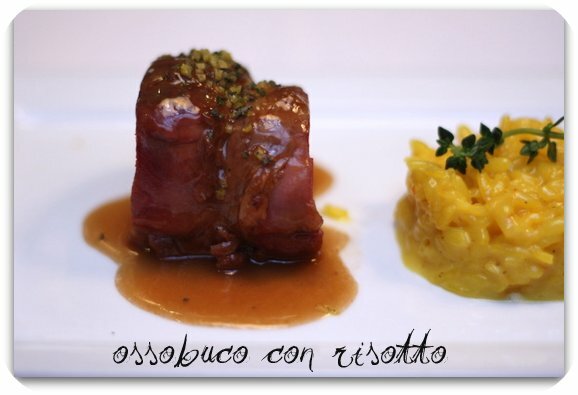 One of their signature dishes is the veal ossobucco with saffron risotto (ossobuco con risotto, RM89). In this version, it is served in a very neat deconstructed manner - marrow bone and the crowning glory of the slow cooked veal sandwiching the saffron risotto. Incredibly decadent as you spoon each forkful in the mouth, as the tender veal mixes with the aromatic risotto with the soft bone marrow. But I must admit my heart (or more likely my tummy) was hooked on the Angus beef short ribs braised in Barolo wine (coste crociata di Angus brasate al barolo, RM78). 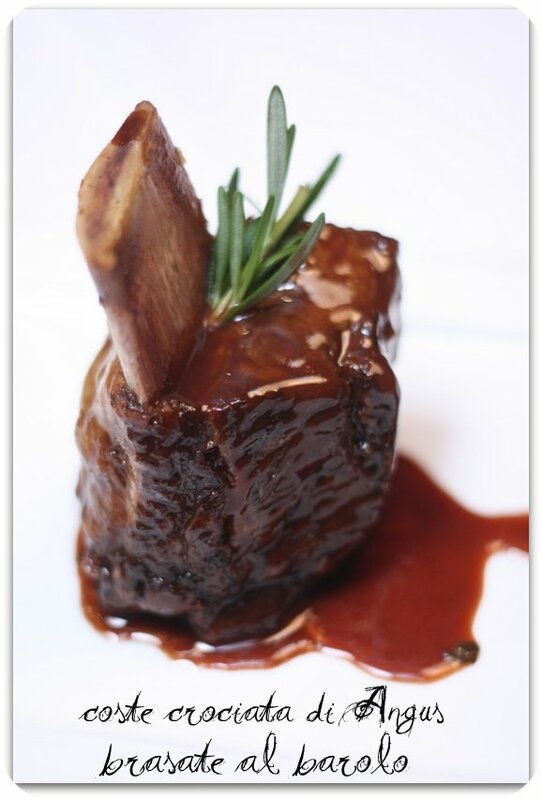 I loved the whole ensemble, the tender hearty beef ribs that melted in the mouth with the right mix of meat and fats and the rich jewel sauce made from the robust yet very aromatic Barolo wine. This was definitely the perfect pairing. However, I was not blown away by the poached barramundi fillet with aromatic vegetables and herb pesto (persico di mare all'acqua pazza, RM82). A little light on the palate, I felt this was a little too mild compared to the robust flavours I have been trying out. We end with desserts. The classic wobbly pannacotta is still around so don't fret. 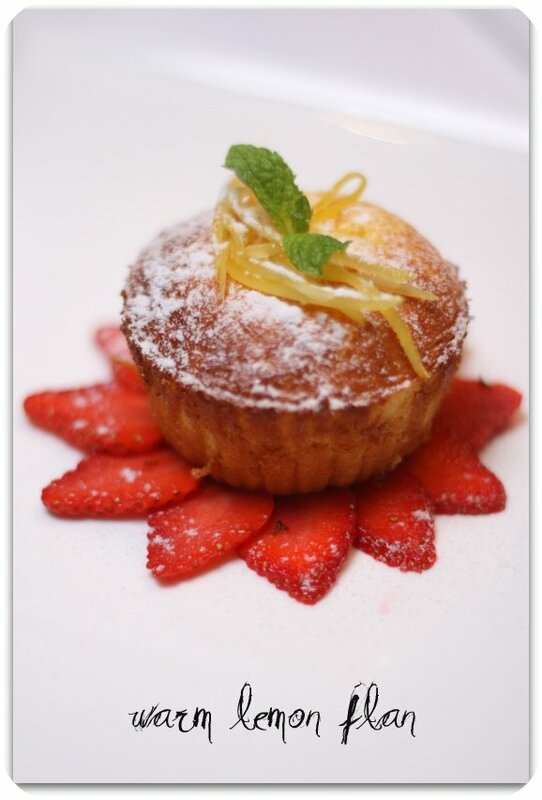 The only tweak to the sweet menu is the addition of a lemon flan with strawberries (omaggio a sorento, RM29). I loved this tangy version - it has the drama of the molten chocolate cake minus the richness with a citrus tang that works well especially after you are well sated from a heavy Italian meal. Don't forget the addictive chiacchiere - traditional Italian sweet little fritters that you munch on while you sip your coffee. Note: Part of the review was invited while another part was paid by the reviewer themselves. its good to c hes still cooking, has carol joined him in the front of the house? I cant wait to sample his wares!! Oh my.. the ravioli looks so good! 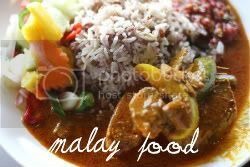 Good to know that the food's still good despite going halal. this is so big please make it short. but it is so nice. Great to see that Andrea is back! I dearly miss Chiaroscuro... Can't wait to taste his delicacies.